Low cost, ultra-low power and sunlight readable voltmeter display. 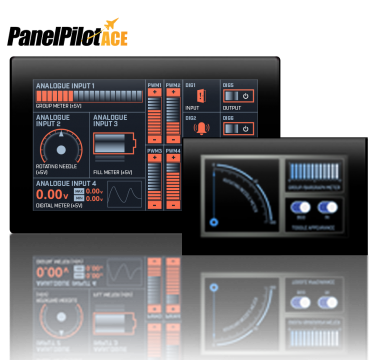 Using the free PanelPilotB Configuration Software, choose from six different analogue and digital voltmeter apps and customise their label units, text, scaling, alarms and even add your own logo to the product power-up screen. 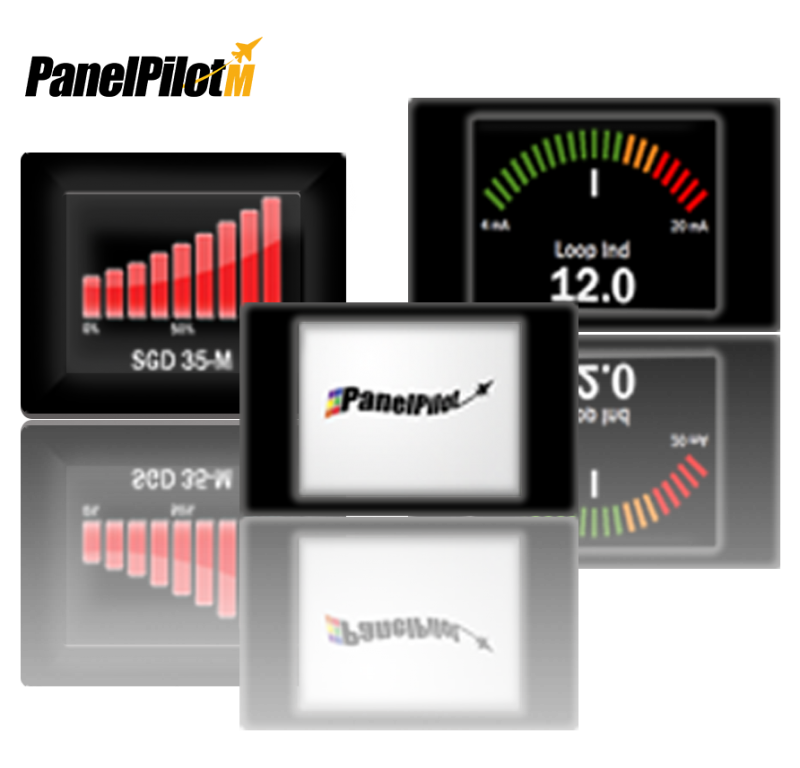 Add data logging functionality to a wealth of finished instruments using our range of panel mountable data loggers. 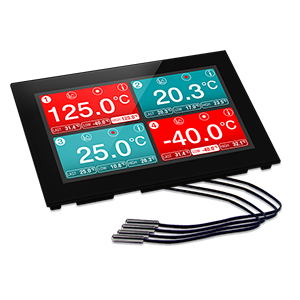 The range offers 4.3” and 7” capacitive display options and up to four data logging channels supplied with compatible thermistor probes. The loggers can store up to 100,000 readings per channel and can display the data via live trend graphs, real-time readings as well as a host of other data analysis tools. Program and download data from the unit via a USB cable supplied with the device. 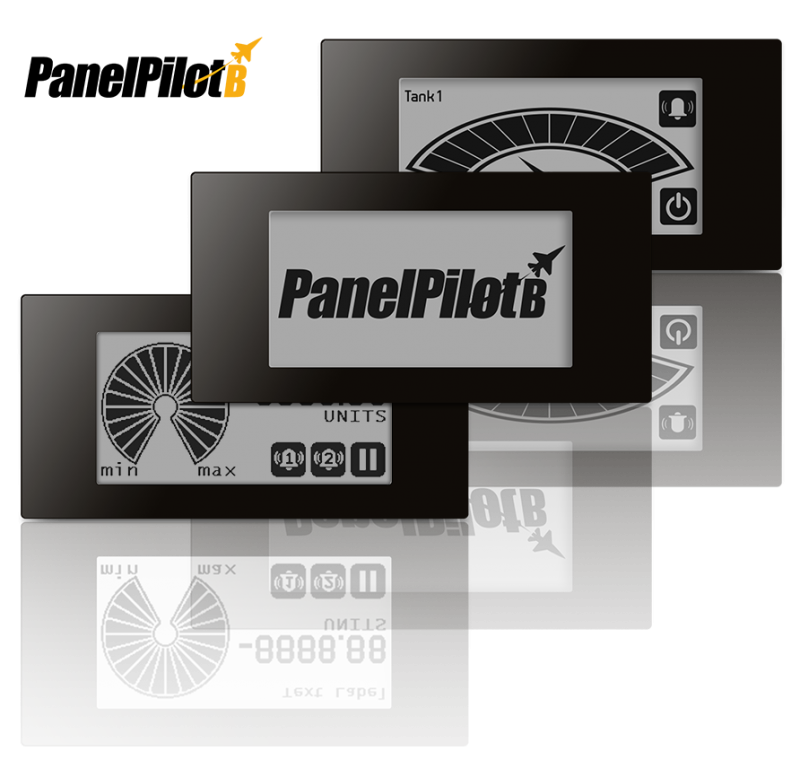 For advanced users, the drag and drop-based PanelPilotACE software can be used to extensively customise the data logging application. Integrate USB data logging technology into multiple applications using the OEM-3. 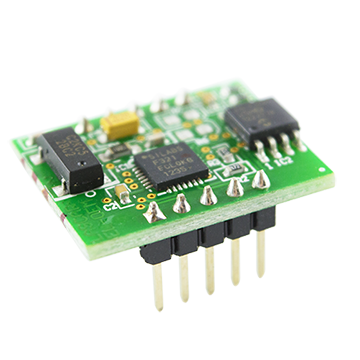 This component-style data logger can be incorporated into new and existing products without the need to specifically develop a hardware and software platform.